When I was a kid growing up one of my favorite games was Chinese checkers – it was just something a little bit different that I played with a couple of cousins. I think one of the big reasons that we loved that game so much was because of the neat looking game board and the colorful nature of the game. 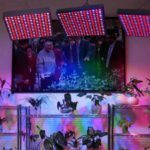 It might seem strange to be talking about a game like Chinese checkers in a review of LED grow lights, but there is a good reason for it, I assure you. 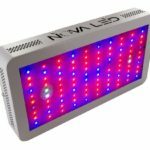 I came across a grow light during my search for the best products to review on this site that totally reminded me of that game of Chinese checkers we used to play all those years ago – nostalgia has a tendency to rear its head at the strangest times! 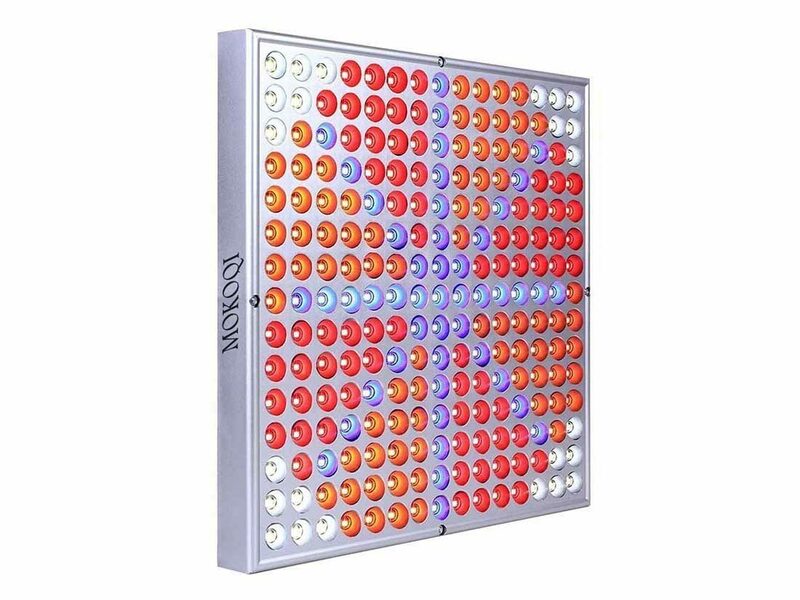 The light system I’m talking about is the MOKOQI 45W LED Grow Light and with its colorful light board and interesting pattern; if you look real carefully you just might see a game of Chinese checkers as well. Fortunately this light actually does work as a grow light and it’s available for less than $150. It’s always interesting to discover new information and while I was reviewing this particular light I came across a little tidbit about the light spectrum that I didn’t know. 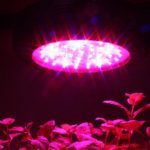 By now if you’ve read any of our other reviews you’re very familiar with the fact that blue light is ideal for vegetative growth and red light is perfect during the flowering stage. 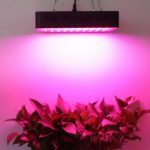 I had always assumed that red light would help to make your vegetables edible and it certainly helps, but red light alone won’t be as effective if you’re planning on trying to grow fruit indoors. It turns out orange light is actually ideal for providing the light that fruit needs to grow and prosper. 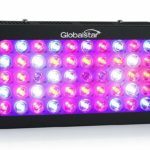 This system not only includes blue and red lights, it also includes orange lights to help make sure you produce healthy fruit as well. There are actually four different colors used in this MOKOQI light system: red, blue, orange, and white. We’ve already talked about what the red, blue, and orange lights do for the growth process, but we should take a moment to discuss the white light as well. The white light actually helps your plants to maintain a healthy color, and while that may not affect its taste it will likely affect how appetizing your family perceives what you’ve grown, and that can be just as important. If there is a one thing you can count on, other than the fact you’ll have to pay taxes every year, it’s that your energy bills will continue to go up just about every year. 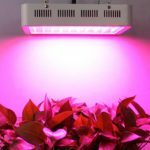 With this in mind we tend to do everything we can to conserve energy and reduce those bills; fortunately, this indoor grow light happens to be about 80% more efficient than traditional grow lights such as fluorescents, HID’s, or sodium lights. They also pump out about 3 to 5 times the power output of these lights as well. That means you can save some money and get the light you need as well. What Can You Do in 50,000 Hours? Let’s take a moment to consider what we could do with 50,000 hours, and if you’re wondering what that translates to it’s about six years. In that time your child could have completed college or university and acquired a Master’s degree. Alternatively, you could have started a new job, got a promotion after the first couple of years, and got a second promotion going into the 6th year. The point is that a lot can happen in those six years. 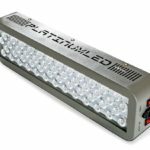 That’s how long this light system will last without having to be replaced, and it also happens to represent many years of productive growth cycles for your plants. 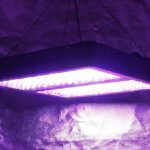 A grow light isn’t much good if you can’t hang it above your plants and that’s why they’ve also included the hangers you need with the package that comes with the light. It includes a simple hook system that’s easy to set up and should only take you a couple of minutes. The light itself only weighs about a pound and a half and the wires they provide you are rated for a lot more than that so you can count on it hanging safely wherever you place it. There’s one main problem with this light system though that’s impossible to overlook – according to a number of customers it simply doesn’t work as advertised. These customers complained that their plants barely grew at all and the yields were extremely disappointing. Obviously a grow light isn’t of much use if it doesn’t help your plants to actually grow. While there was a lot I liked about the MOKOQI 45W LED Grow Light it was impossible to ignore the customer complaints about disappointing yields. I can certainly handle the odd glitch in a lighting system such as flickering bulbs or the occasional bulb burn out, but I can’t overlook plants that simply won’t grow.